Because I love food just as much as you do and I want you to be able to experience the pleasure of Catalan cuisine, I’ve compiled a list of the best gluten-free and allergy-friendly restaurants in Barcelona. 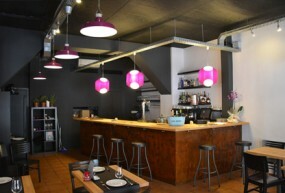 Located 5 minutes walk from Gràcia, Did Platets (c/ Alfons XII, 96) is a restaurant based on small plates and half portions. 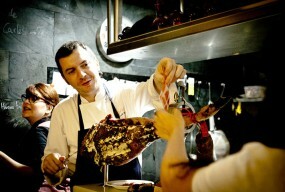 Manel, the chef and the owner, is a magician when it comes to adapting food to suit people’s dietary needs. 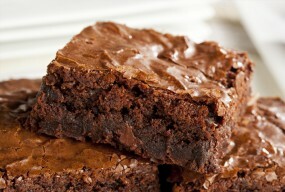 His gluten-free and lactose free brownie is delicious! If you book in advance he will be able to adapt his menu to your food allergies or intolerances. All I can say about Tapeo is yum! 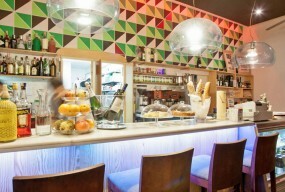 Very popular tapas restaurant located just a few steps from Picasso’s Museum (at c/ Montcada, 29). 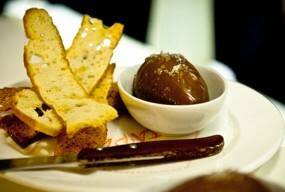 They serve high quality tapas with a modern twist. 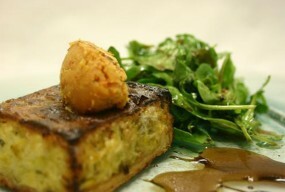 You have to try their foie gras with poached eggs & mushrooms. This dish is out of this world! I recommend you make a reservation at least 24 hours in advance because it gets very busy. Only 5 minutes walk from Plaça Sant Jaume, you’ll find Rasoterra (c/ Palau, 5), a vegetarian restaurant that defends the slow-food movement and believes that “we are what we eat”. This is a restaurant whose motto is that everyone can eat as well as possible, which also includes people who eat gluten-free, lactose free or have food allergies. All the ingredients are local, organic and seasonal. This restaurant is located just a few steps from Plaça Catalunya. In La Lluna (c/ Santa Anna, 20) you will find a wide variety of amazing dishes suitable for those who need a gluten-free or lactose free meal. 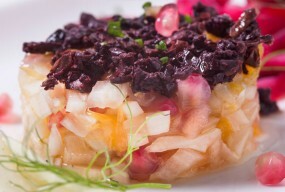 The three-course menu at 15€ is excellent value for money and provides a good choice of dishes, also for vegetarians. 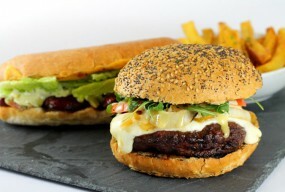 If you want to eat a delicious, gluten-free and allergy friendly burger, you can’t miss this restaurant! 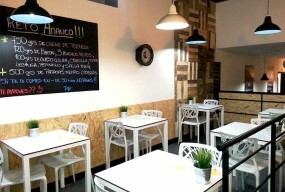 Just two minutes walk from the Sagrada Família, Anauco Gourmet (c/ València, 428) has the best burgers in Barcelona. Aside from the great service this was literally the best burger I’ve ever had! 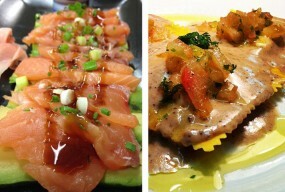 The menu has a good choice of different fillings to suit everyone but not too many to overwhelm you. Are you living gluten-free in Barcelona or have you travelled to Barcelona and found some fantastic friendly options? Please add your favorites to the comments below. Marina has been with dealing with food allergies since she was 9. She loves to go to new restaurants and try new foods, and having food allergies can make eating out difficult. She runs a website called Allergychef where you can make free online restaurant reservations and send your dietary needs directly to the chef. When she is not scouting out new restaurants she can be found walking Enciam (Lettuce in Catalan), her Sharpei puppy.